Home Health UK supply a wide range of drug testing kits and alcohol testing strips, devices and Accessories. Theses saliva drug testing kits test for alcohol and all the common illegal as well as prescription drugs in urine samples. 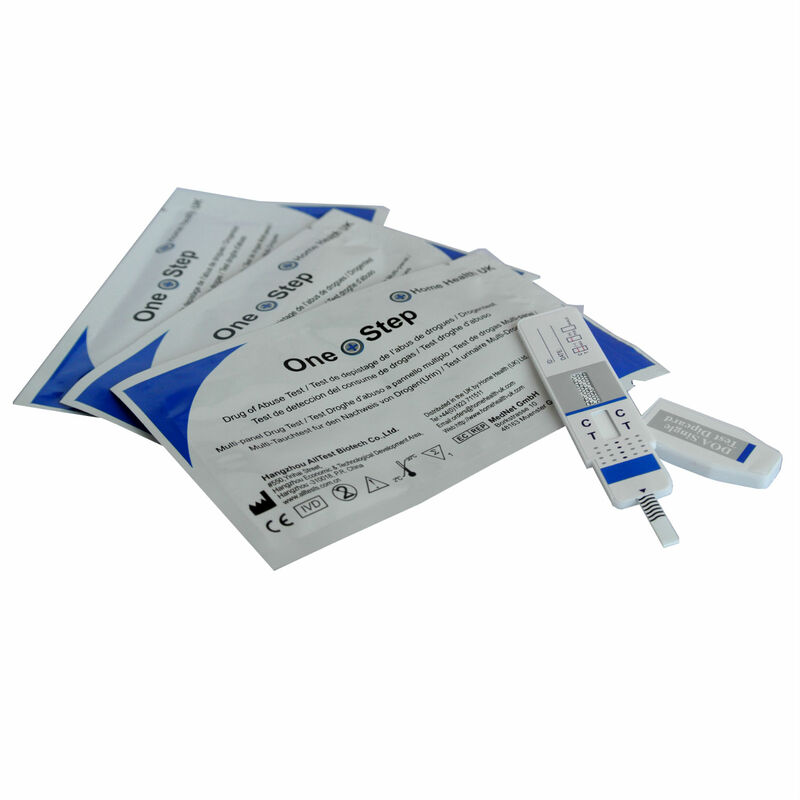 These urine drug testing kits are ideal for the home, workplace or clinical services. We are one of the largest suppliers of drug tests to customers throughout the world. Our tests are used in treatment centres, hospitals and by medical professionals. They are made specifically for us and comply with CE (European Community) and FDA (United States) rules and regulations. We also supply large parts of the UK National Health Service (the NHS). The tests we supply to the NHS are identical to the ones we sell to you. Therefore, every batch is checked religiously for quality and accuracy. If you cannot see the Drug Testing Kit Accessory you are looking for please contact our customer service team on 01923 711 511 or Email Us and we’ll be happy to help.